Here’s an essential guide to make sure you’re properly insured while living in France. Insurance is a legal requirement for vehicle owners (assurance automobile), homes whether rented or owned (assurance habitation), for civil liability (assurance responsabilité civile or chef de famille), and for school-age children (assurance scolaire). In addition to having a job or a private income, one of the requirements for residency in France is that you are covered by health insurance. If you are employed or self-employed, you have to pay into the state health coverage system (La Sécurite sociale). This will not cover you fully and most people take out top-up insurance commonly called a Mutuelle. If you are not employed and are not entitled to a European pension, you will have to take out private health insurance that covers you from the first euro of your healthcare expenses. All home insurance policies in France are comprehensive and they will cover any damage to your home and contents, such as fire, water damage, theft and vandalism. In addition, any risk of damage that an accident at your home might cause to someone else’s residence will be included since this is obligatory. This will cover you if, for example, your apartment’s bathtub leaks into the ceiling of the flat downstairs or a tile falls off of your roof onto someone’s head. Natural catastrophes are also automatically covered. Recent years have seen an alarming number of natural catastrophes in some regions, particularly forest fires and flooding, including in urban areas. You will be asked questions about the property, including the number of square meters and the number of rooms, but most companies will not require a visit before offering terms. You will not be asked to value the building since this is dealt with by a national building index. Be sure you ask for adequate contents cover; some people try and reduce the premium by undervaluing their contents and rue the consequences on the day of a claim. It is strongly advisable to make sure you understand the small print of any policy, especially regarding the excesses you will have to carry and your obligations to protect the property. Some landlords will ask you to insure your home during your stay. Insurance covers you against damage to your home and contents, water damage, vandalism and theft. Some home insurance policies will automatically cover your liability for any damage or injury your child may cause at school; others will offer this as a separate cover at a nominal premium. In both cases, the insurer will give you a certificate or attestation that the school will ask you for at the beginning of the school year. While not strictly mandatory for school attendance, it is required for any activities outside the official curriculum including field trips of any kind as well as extracurricular sports. All motor vehicles in France must be insured for civil liability, even if they are not in use, unless all four wheels are removed. Policies are either third party (tiers collision), third party fire & theft or comprehensive (tous risques). Whenever you drive your vehicle, you are legally required to carry – along with your car registration papers (le certificat d’immatriculation) – a document, the attestation d’assurance, issued by the insurance company proving you are insured. Part of this is a green certificat d’assurance testifying to the validity of your insurance. This must be fixed on your vehicle windscreen, so as to be clearly visible. Don’t leave these papers in the glove compartment; if your car is stolen and you cannot produce them, you will have difficulties in obtaining the police statement you need to make an insurance claim. You also help the thief pretend he is the rightful owner. Your insurer will also issue you with an internationally standard form, le constat amiable, to complete in the event of an accident. It provides space to fill out insurance details, a written and graphic description of the accident and it must be completed and signed by both you and the other party involved. It is a carbon copy sheet, and both parties send their copy back to their respective insurer to establish responsibility. Do not add anything to the form after completing and signing it with the other party as the two insurers may compare their copies in establishing who was at fault. 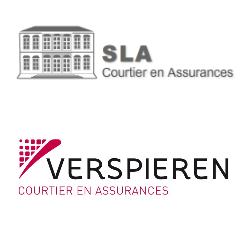 It is easy to confuse assurance vie and assurance décès. Assurance vie refers to a savings programme that sets aside and invests money for retirement or other long-term financial projects. It will also pay in case of death before the end of the policy term. Insurance that will only pay a premium to your family in case of your death is called, most practically, assurance décès and is often linked to loss of earnings (prévoyance). Assurance décès following accident only is very cheap, but when death through illness is included the price is considerably more and takes into account your age and your current state of health. If you are employed, you might be automatically signed up for a policy; check with your HR department. Beware of slick deals to cover the cost of burial (assurance obsèques); they are much less attractive than standard life insurance. They do offer assistance to the loved ones in dealing with the formalities after death but a good solicitor can help them with this. If you take out a sizeable home-loan with a French bank, it will require you to take out life insurance. This is intended to protect both the bank and your family by paying off the outstanding mortgage in case of you or your partner’s death. While the bank will pressure you to take their own so called “in-house” life insurance policy, try and resist this in order to shop around for a better deal amongst outside professional life insurers since the bank takes a commission, thereby increasing the amount you pay in premium. 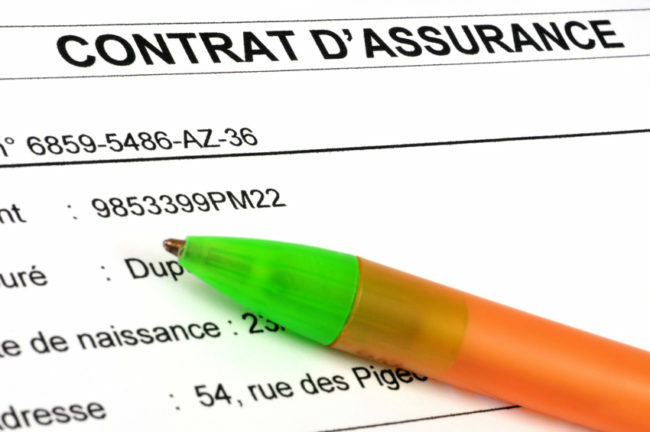 It is mandatory to insure major construction works carried out on your property by a decennial cover called dommages ouvrage. Maybe you have come to France for a better life style and intend to work here on a self employed basis? In this case you will need specific insurances such as professional indemnity. Perhaps you also need cover for your professional or manufacturing equipment as well as transport and credit insurance. Specialist policies such as these are best handled by brokers.